Drop-dead gorgeous! 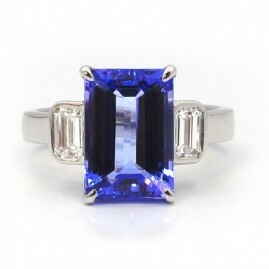 This custom made blue sapphire and diamond ring is set in platinum. 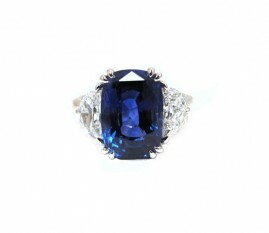 The center stone is a cushion cut rich, blue sapphire weighing approximately 4.86ct. It is set between two cadillac cut diamonds weighing 0.48cttw, H-I in color, VS in clarity. 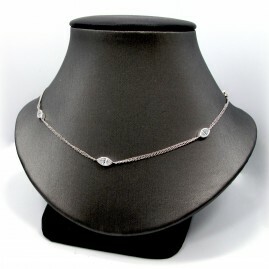 Each stone is surrounded by a split prong diamond halo. There are round brilliant diamonds going approximately 3/4 way around the band. There is floral detail in the head of the center stone. 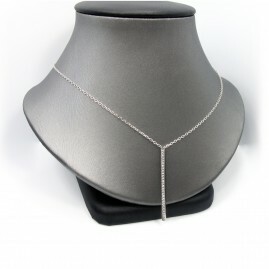 In total, the setting contains 54 round brilliant diamonds weighing approximately 0.97cttw, F-G in color, SI in clarity. The ring is a size 6. 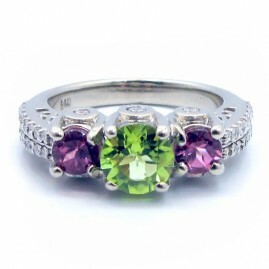 This ring has WOW factor! One custom made blue sapphire and diamond ring set in platinum. 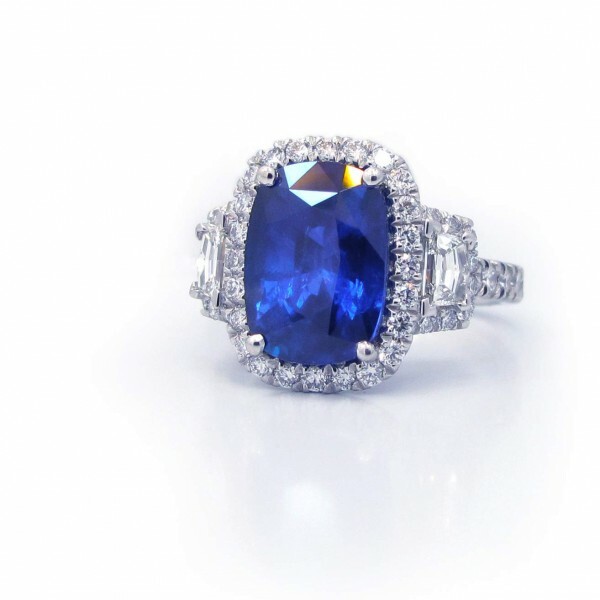 The center stone is a cushion cut rich, blue sapphire weighing approximately 4.86ct. 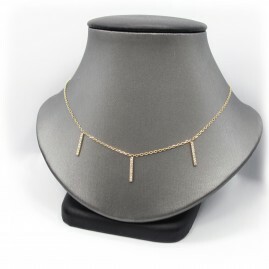 It is set between two cadillac cut diamonds weighing 0.48cttw, H-I in color, VS in clarity. 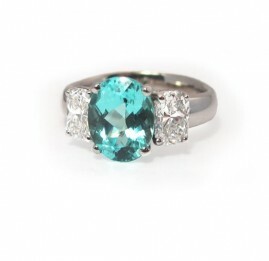 Each stone is surrounded by a split prong diamond halo. There are round brilliant diamonds going approximately 3/4 way around the band. There is floral detail in the head of the center stone. 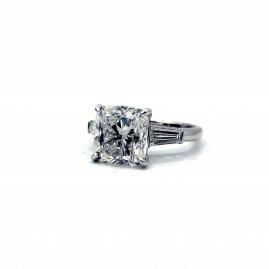 In total, the setting contains 54 round brilliant diamonds weighing approximately 0.97cttw, F-G in color, SI in clarity. The ring is a size 6.